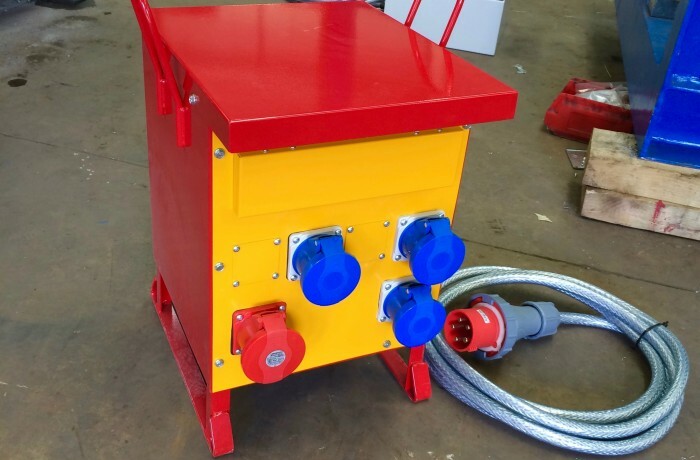 This splitter box seen in the photos was a special bespoke IP44 water and dust resistant splitter box we built for a customer who is keeping it outside. 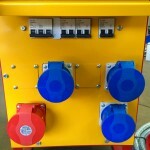 It is designed with sealed MCB Type D rated trips for each socket, as well as 415V supply to 240V 415V output options. 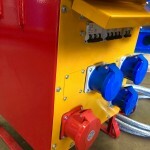 Any length SY primary cable can be fitted as well as a 63 Amp plug. 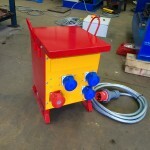 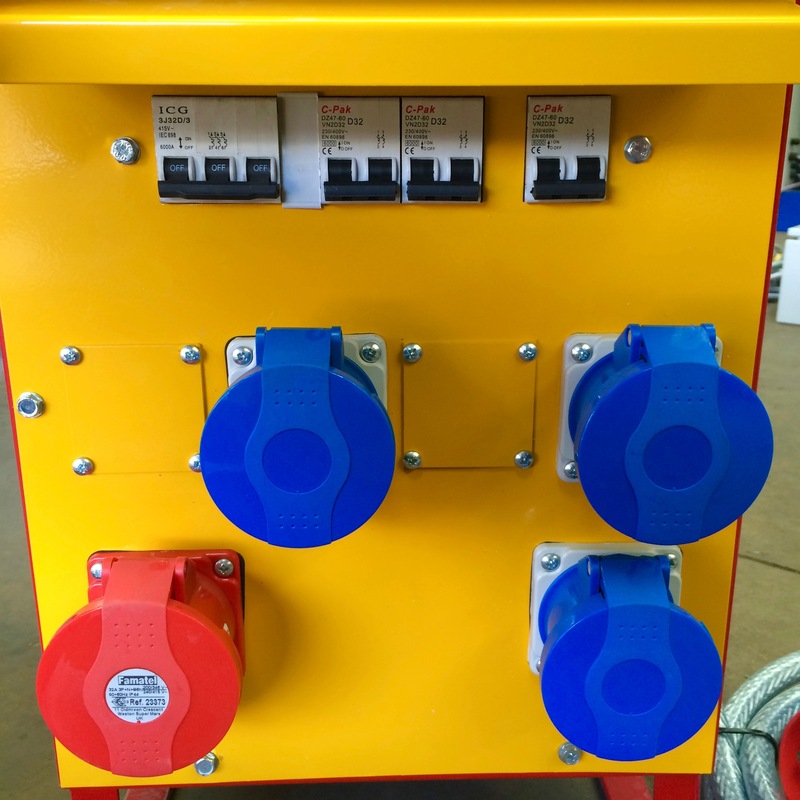 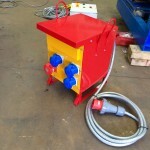 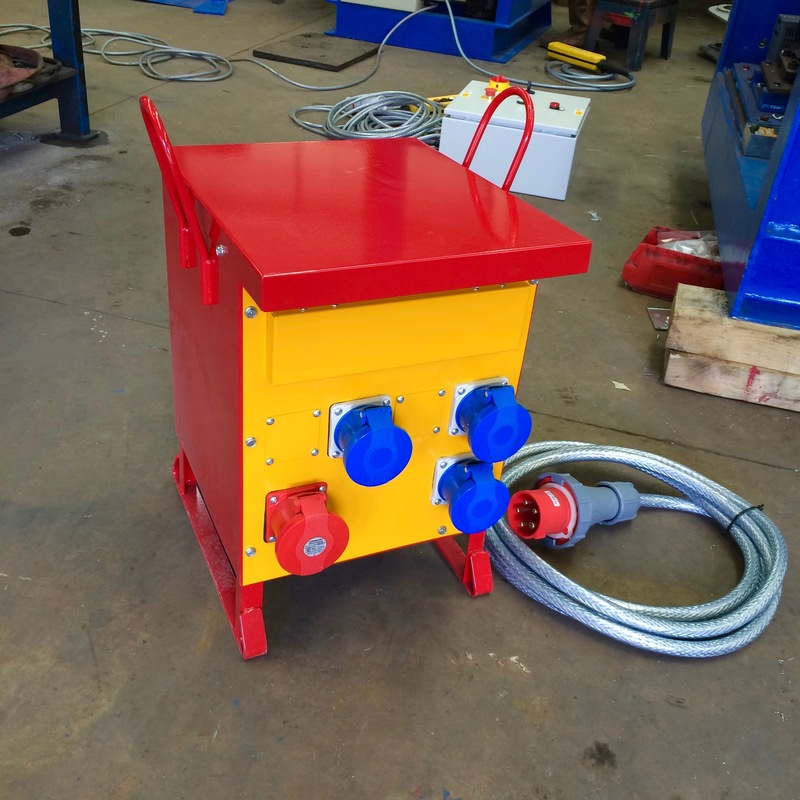 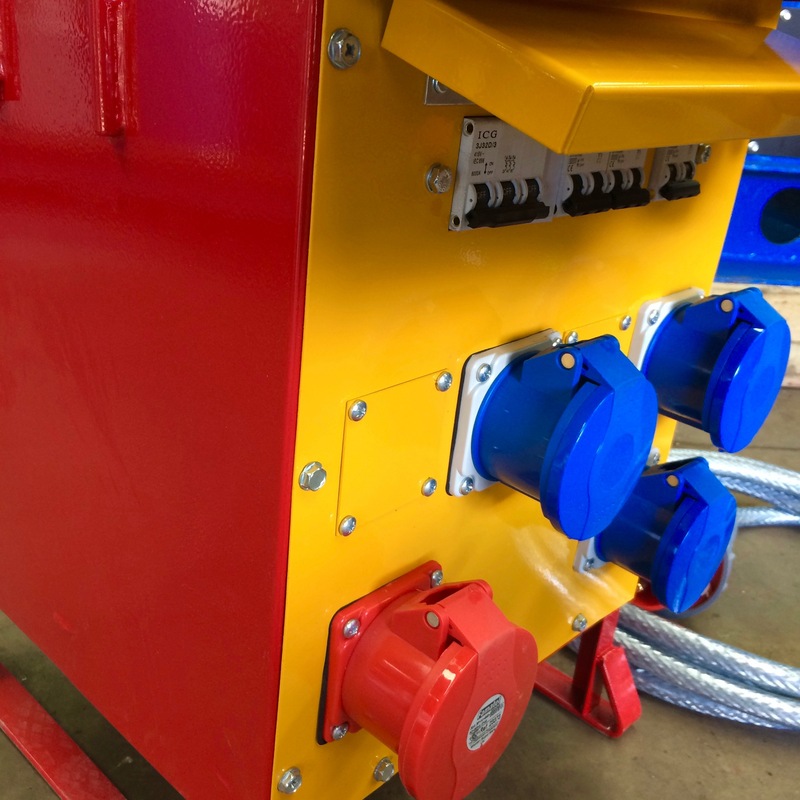 We can design any distribution box you require and can usually manufacture them with a quick turnaround. 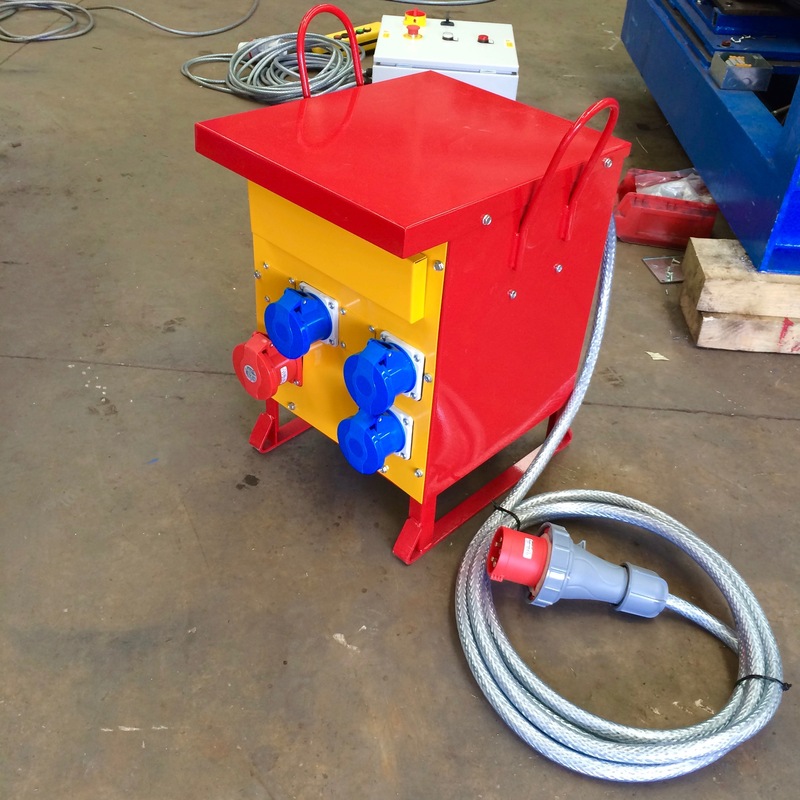 If you need extensions cables we also in-house manufacture these to suit as well.